Over the summer, Prides are held across the UK and around the world. These volunteer-led events take an enormous amount of time, effort and resource to host, and many Prides have a tough time raising adequate funds. We know this is part of a wider funding problem facing organisations working for LGBT people. There’s so much more to do before everyone experiences full equality. Stonewall works to ensure that becomes a reality. We support schools, workplaces, public services and policy makers to create meaningful change for LGBT people in all aspects of their lives. The community and grassroots-work of Prides and other LGBT organisations is integral to creating this change too. That’s why we’re taking part in more than 30 Prides this year and working with a range of other organisations on creating change in local communities. We want to do even more in the future. We know Prides are essential to the LGBT communities that they serve and are particularly important to individuals who may just be starting out on their journey. 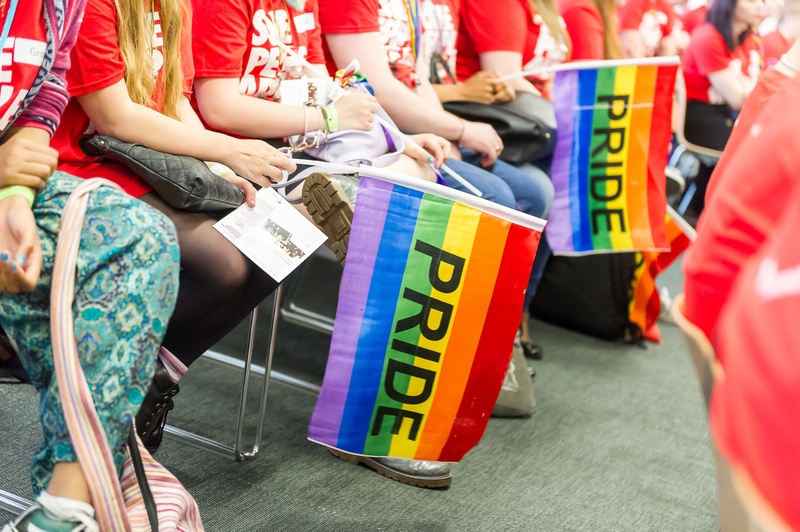 Attending Pride is an empowering moment and we’re proud that this year we are enabling more than 350 LGBT young people to attend some of the UK’s biggest Pride celebrations. This year we’re hosting six Youth Pride events, open to anyone aged 16-21, at Prides including Birmingham Pride, UK Black Pride, Bristol Pride, Pride Cymru and Manchester. We also know that organisations of all kinds want to use the summer Pride season as a chance to publicly show their support for the LGBT community, which is a real sign of the success that the grassroots pride movement has become. When Primark decided to launch a summer Pride range we were proud and pleased that they approached us about a partnership. They want to work with us to help embed long-term, generational change for LGBT people in the UK and internationally. This funding will help us run programmes that empower LGBT young people and marginalised groups within the community. This partnership will give vital funding for this work, enabling us to reach more people who need us. We’re working towards a change that will mean every workplace, community and place of worship accepts LGBT people without exception. The money Primark raises will help us train more teachers to make schools places where LGBT young people can be themselves without fear of bullying. Crucially this partnership also enables us to empower LGBT people to create change in their communities. Crucially this partnership also enables us to empower LGBT people to create change in their communities. For example, this summer we’re hosting a workshop in Manchester, and one with trans community leaders, to help us work together on improving LGBT equality. This partnership with Primark will also support our international programmes, which over the past 12 months have supported nearly 100 activists from across Eastern Europe, Central Asia, the Caucasus and South Africa. We deliberately work with a wide variety of organisations, in countries across the world, to ensure that positive change can be a reality for every lesbian, gay, bi and trans person. Through our Global Diversity Champions programme – of which Primark is a member - we work with organisations that operate in extremely difficult contexts. We give these organisations the tools to create workplaces that, despite the legislative landscape, are inclusive and supportive of LGBT people and LGBT equality. And through our Global Workplace Briefings, we connect them with local LGBT groups on the ground, wherever possible. We are extremely proud of our partnership with Primark and we know this doesn’t take away the need for more funding for Prides and other community-based LGBT organisations who are integral to our fight for equality. We are extremely proud of our partnership with Primark and we know this doesn’t take away the need for more funding for Prides and other community-based LGBT organisations who are integral to our fight for equality. That’s why we will continue to work, alongside employers and organisations, to support the work of local and community LGBT groups. We are extremely excited to attend more community Pride events this year than we ever have before. We’re looking forward to celebrating our diverse LGBT communities and talking to thousands of LGBT people around Britain this summer.